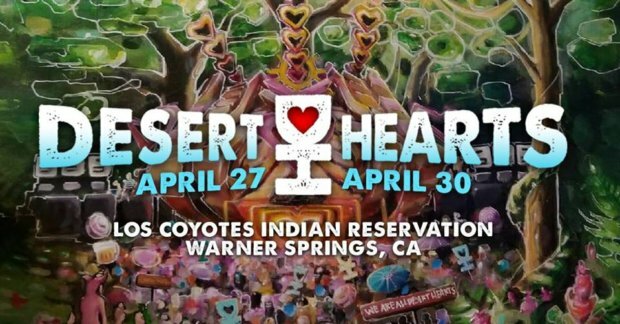 Get ready because Desert Hearts Festival is coming this month! What began as a nomadic gathering of friends, has evolved into the darling of the West Coast house and techno scene. This festival is fully committed to creating the most beautiful community-oriented house and techno gatherings, achieving a memorable energetic ambiance, while maintaining high musical integrity that focuses on the progression of the underground movement. I cannot wait to spend 4 days at Los Coyotes spreading as much love and positive energy as humanly possible. Infinite love, radical self-expression, positive energy and nonstop beats… it’s time for Desert Hearts Festival 2018.